Whew! I've been super busy lately with an insane amount of yardwork (and training people at work, where I usually do these things), so things have been a little slow on the medical-research front. 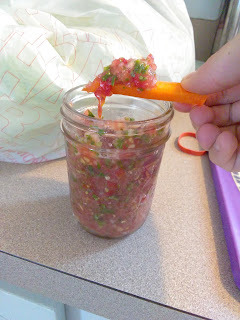 However, since my jalapeno plant is currently producing an insane number of jalapenos, I did take a break to make some absolutely delightful salsa, which I will share the recipe for! 3 jalapeno peppers, with seeds, cut in large chunks*. Salt & Pepper to taste - I added about 1/2 tsp salt and 1 tsp pepper but do to your own taste!! *I left the seeds in to create medium-spice salsa. You can remove the seeds for a more mild version, or use a hotter pepper - like an habanero - for a hot version. 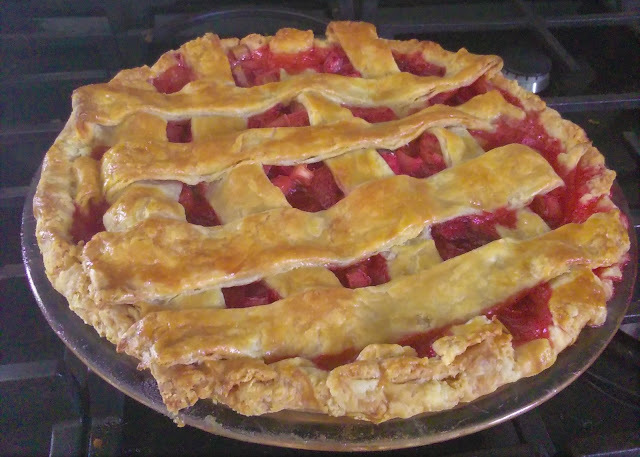 **you can use Vidalia onions instead, but don't use red, yellow, or cooking onions. 1) Toss the tomatoes, onion, jalapeno and cilantro into a food processor and process LIGHTLY. I don't have a real food processor - it's just a manual crank-operated blade - so this is no problem for me, but if you have something high-powered be careful; you want the tomatoes and onions to remain slightly chunky. 2) Salt and pepper to taste and mix thoroughly. 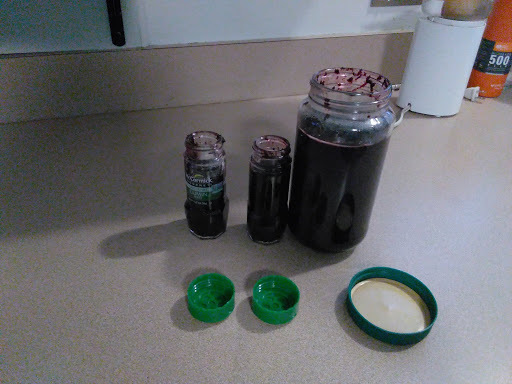 Yield: I got a little less than three of the small jars pictured above. You can make more or less though, by simply increasing/decreasing the ingredients.